The former agents were found responsible for the kidnapping, torturing, murdering and disappearing 12 civilians. Chilean judge Mario Carroza ordered 20 former agents of Chile’s infamous National Intelligence Direction (DINA) to serve prison time for their roles in the kidnapping and murder of 12 victims of the CIA-backed Operation Condor Friday. “The intelligence agents of our country, in these cases, in collusion with those of Argentina, Paraguay, and Bolivia did not only coordinate the detention of the victims, but also created the conditions to lock them up and transfer them to our country with the sinister purpose of confining them in clandestine centers to interrogate them, torture them and later eliminate them with extreme cruelty,” Carroza’s ruling states. 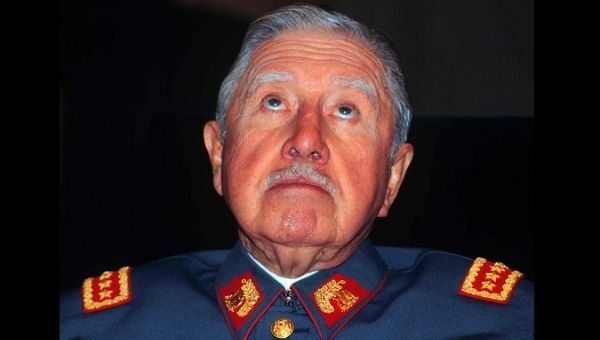 Operation Condor was a joint intelligence operation, in which the intelligence services of Argentina, Brasil, Paraguay, Uruguay, and Bolivia worked together to hunt down political opposition across borders in an attempt to eliminate dissent against United States-backed military regimes. The transnational intelligence operation ran for 10 years facilitating state terror throughout the Southern Cone. The Archives of Terror, a set of documents detailing military and intelligence communications among the countries involved, found in Paraguay in the early nineties, listed 50,000 people murdered and 30,000 forcibly disappeared. Raul Iturriaga and Christoph Willike were sentenced to 17 years in prison; Pedro Espinoza, Juan Morales, Jorge Escobar, Federico Chaigneau, and Miguel Riveros to 15 years in prison; Carlos Lopez and Gladys Calderon to 10 years; and Eduardo Oyarce. The other former agents received prison sentences of between 100 days and seven years. The judge also ordered the state to pay compensations of between US$30,000 and US$134,000 for moral damage to the families of the 12 victims.